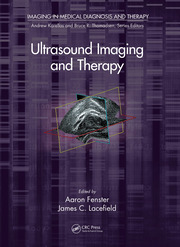 The book discusses varied topics pertaining to advanced or up-to-date techniques in medical imaging using artificial intelligence (AI), image recognition (IR) and machine learning (ML) algorithms/techniques. 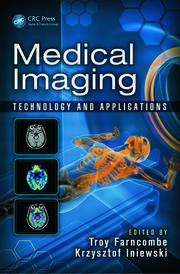 Further, coverage includes analysis of chest radiographs (chest x-rays) via stacked generalization models, TB type detection using slice separation approach, brain tumor image segmentation via deep learning, mammogram mass separation, epileptic seizures, breast ultrasound images, knee joint x-ray images, bone fracture detection and labeling, and diabetic retinopathy. 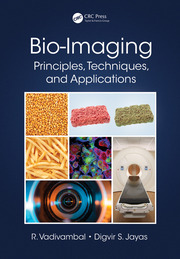 It also reviews 3D imaging in biomedical applications and pathological medical imaging. Dr. K.C. Santosh is an Assistant Professor and Graduate Program Coordinator (GPC) of the department of computer science at the University of South Dakota (USD). Also, Dr. Santosh serves School of Computing and IT, Taylor's University as an Adjunct Associate Professor. Before joining USD, Dr. Santosh worked as a research fellow at the U.S. National Library of Medicine (NLM), National Institutes of Health (NIH). He worked as a postdoctoral research scientist at the LORIA research centre, Universite de Lorraine in direct collaboration with industrial partner ITESOFT, France. He also worked as a research scientist at the INRIA Nancy Grand Est research centre, France, where, in just 3 years, he has received his PhD diploma in computer science. Before that, he worked as a graduate research scholar at the SIIT, Thammasat University, Thailand. 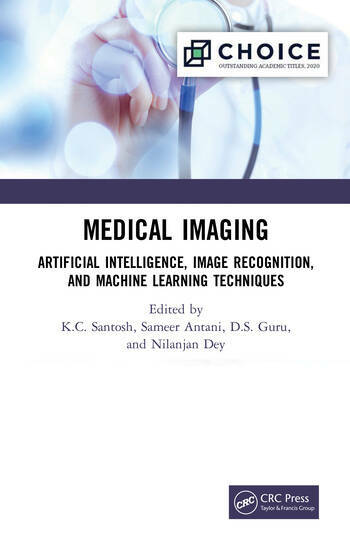 Dr. Santosh demonstrated expertise in artificial intelligence, machine learning, computer vision, pattern recognition and image processing with various applications in medical image analysis, graphics recognition, document information content exploitation, biometrics and forensics. He published more than 120 peer-reviewed research articles; two authored books (Springer) and edited several books (Springer, Elsevier and CRC press), journal issues (Springer) and conference proceedings (Springer). Dr. Santosh serves as an associate editor of the International Journal of Machine Learning & Cybernetics (Springer). For more information, visit: kc-santosh.org. Sameer Antani, PhD is a versatile researcher leading several scientific and technical research projects. He applies his expertise in biomedical image informatics, automatic medical image interpretation, machine learning, information retrieval, computer vision, and related topics in computer science and engineering technology toward advancing the role of computational sciences in biomedical research, education, and clinical care. His current R&D projects include: an automatic screening system for detecting presence of Tuberculosis (TB) and other pulmonary abnormalities in digital chest x-ray images; an automatic cell counting system for malaria screening; retrieval of fMRI data based on activation similarity; and, the OPEN-iSM biomedical image retrieval system that provides text and visual search capability to retrieve over 3.2 million images and videos from approximately 1.2 million Open Access biomedical research articles from NLM’s PubMed Central® repository.His other work includes contributions to cervical cancer diagnostics through cervicography and histology image analysis; retrieval of spine x-rays from an image database using visual and shape queries; and, next generation scientific publishing. D S Guru, is a professor at the Department of Studies in Computer Science. He is known for his contributions to the field of Image Processing and Pattern Recognition. He is a recipient of BOYSCAST fellowship awarded by Department of Science and Technology, Govt of India and also Award for Research Publications by Department of Science and Technology, Karnataka Government. He has been recognized as best ethical teacher at higher learning by Rotary North Mysore. He has supervised more than 15 Ph.D. students and currently supervising many more. He holds rank positions both at Bachelors and Masters Educations. He earned his Doctorate from University of Mysore and he did his post-doctoral work at PRIP lab, Michigan State University. He has been a reviewer for international journals of Elsevier Science, Springer and IEEE Transactions. He has chaired, delivered lectures at many international conferences and workshops. He is a co-author for three text books, co-editor of three proceedings and authored many research articles both in peer reviewed journals and proceedings. Nilanjan Dey, PhD. is an Assistant Professor in the Department of Information Technology at Techno India College of Technology, Kolkata, India. He is a visiting fellow of the University of Reading, UK. He is a Visiting Professor at Wenzhou Medical University, China and Duy Tan University, Vietnam, He was an honorary Visiting Scientist at Global Biomedical Technologies Inc., CA, USA (2012-2015). He was awarded his PhD. from Jadavpur University in 2015. He has authored/edited more than 45 books with Elsevier, Wiley, CRC Press and Springer, and published more than 300 papers. He is the Editor-in-Chief of International Journal of Ambient Computing and Intelligence, IGI Global, Associate Editor of IEEE Access and International Journal of Information Technology, Springer. He is the Series Co-Editor of Springer Tracts in Nature-Inspired Computing, Springer Nature, Series Co-Editor of Advances in Ubiquitous Sensing Applications for Healthcare, Elsevier, Series Editor of Computational Intelligence in Engineering Problem Solving and Intelligent Signal processing and data analysis, CRC. His main research interests include Medical Imaging, Machine learning, Computer Aided Diagnosis, Data Mining, etc. He is the Indian Ambassador of International Federation for Information Processing (IFIP) – Young ICT Group. Recently, he has been awarded as one among the top 10 most published academics in the field of Computer Science in India (2015-17).